Hi guys! I recently went on a bit of a shopping spree at GoneReading.com and thought I'd share my thoughts with you today! The folks at Gone Reading are an absolute joy to collaborate with and I just love shopping there! Their selection of bookish products is already pretty impressive and they constantly add new exciting stuff (like, OMG, they just added a fabulous line of "Paperback" bath and body products, including shower gel, massage oil and more!). When my Gone Reading order arrived at my doorstep, I was so in love with both the mug and journal, I had to rave about it on Instagram and Twitter :) My tweets didn't go unnoticed, and the awesome Brad from Gone Reading emailed me about sharing a $40 GC to their store with one of you, my fellow bookworms! WOOT!! I don't know about you, guys, but I simply cannot sit down to read a book without making sure I have a huge mug of steaming hot coffee or tea to slowly sip as I get lost between the pages. I am not going to lie, I am a coffee junkie. And I like my coffee mugs BIG and COOL. 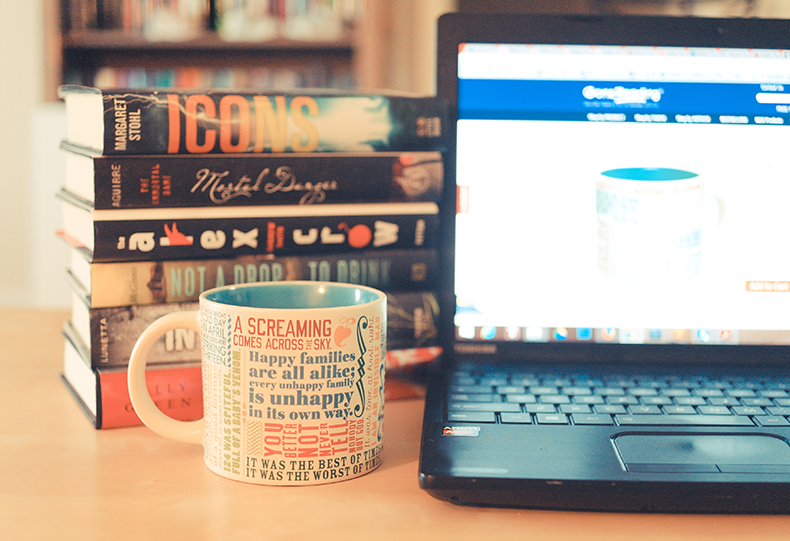 I had my eyes on two awesome mugs from Gone Reading. 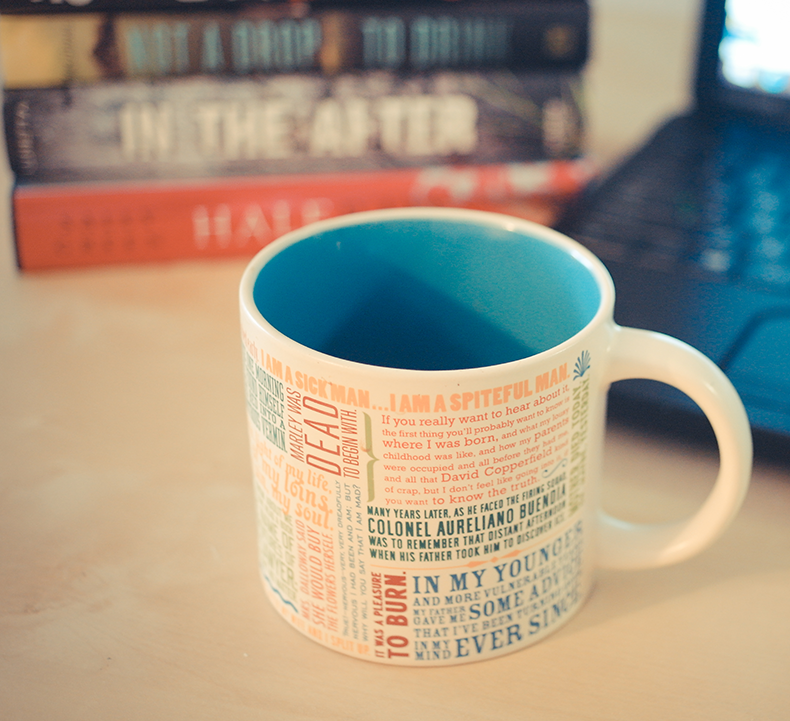 This one (points to the picture above) and their Banned Books Mug. They're both incredibly awesome and I had a very hard time deciding, but don't think that just because I bought Greatest First Lines, I am not going to eventually get my hands on the Banned Books one too. I will. Because there's only one thing better than a huge cup of steaming, delicious coffee.. And that's two huge cups of steaming delicious coffee (am I starting to sound like I need an intervention yet?). I love everything about this mug. The opening lines featured are timeless and iconic and just.. perfect! I love that it's so HUGE and BLUE on the inside! And it just looks so cool, making ME look cool when I hold it (or so I choose to believe, don't shatter my delusions). It's a really good quality porcelain, and the print doesn't get washed away even when I toss it into the dishwasher to clean it. I love it. I really freaking love it. And honestly, the price is freaking awesome, too. Like, I wanted to order this "Ain't Nobody Got Time For That" mug from Ashley Brooke Designs, but it's not only smaller, it's extremely pricey. I'm not paying $24 plus $12 shipping for a mug, oh-hell-no! Besides - this mug? SO MUCH COOLER!! 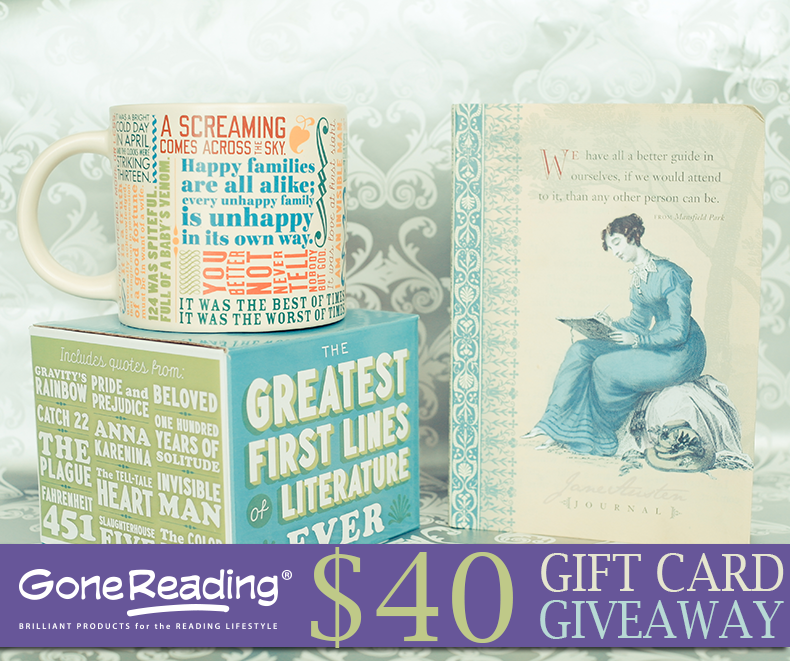 God, I love the Jane Austen line from Gone Reading! I already had the Jane Austen Library Glass Candle which, btw, smells incredibly beautiful (scented in Gardenia, Tuberose & Jasmine) and you don't even need to light it up for it to fill the entire room with an elegant, relaxing and utmost gorgeous smell ever. Not kidding! 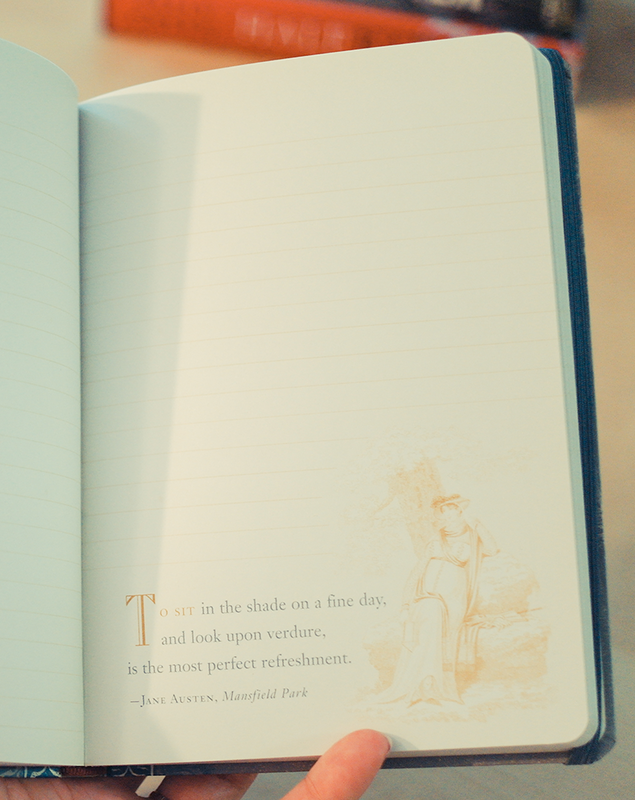 I am pretty determined to collect all the Jane Austen products. There is an address book, an air freshener, dolls, playing cards and, gosh, even a toothpaste! I got this journal mainly for writing down my favorite quotes from review books, but also for keeping track of my TBR Pile and other stuff. 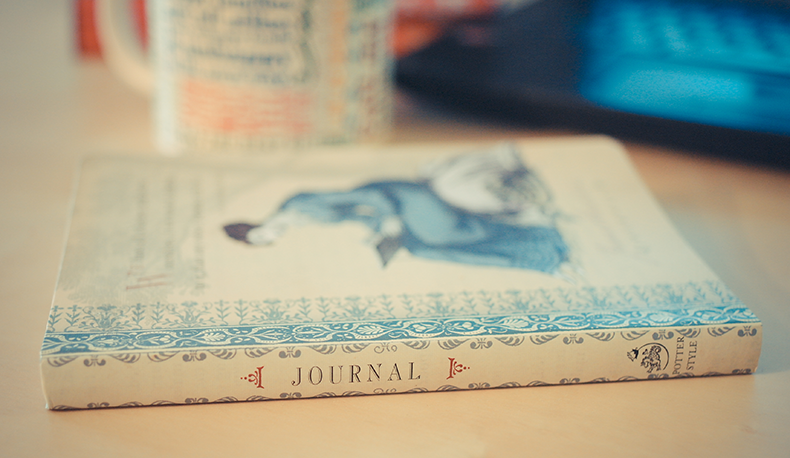 Its's so elegant and girly, with the pages inside a light creamy color. 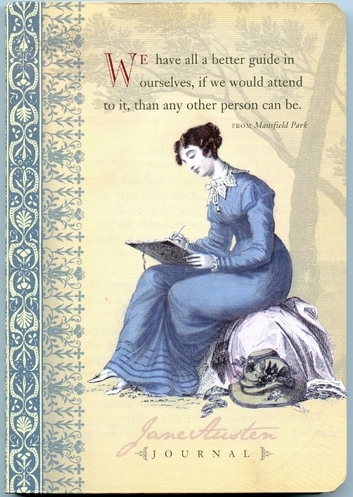 There are 160 lined pages and you'll also find some gorgeous illustrations inspired by Austen's work and paired with memorable quotes from her books. It's glorious and I am yet to break its spine and write in it. I am waiting for something truly meaningful to fill its first pages. Gone Reading is, essentially, a bookworm's heaven. It's a fantastic source of really cool bookish items - reasonably priced and delivered to you with real care. I am a fan of this store and I sincerely recommend you check it out. I'm sure you'll find something for yourself! In addition to being an awesome store filled with gorgeous bookish goodies, Gone Reading is also dedicated to supporting some truly great causes, like spreading the love of reading in developing worlds and donating to charities such as READ Global and Ethiopia Reads. These guys ROCK and I support them wholeheartedly! Interested in learning more about Gone Reading? Check out their store HERE and then read about their Philanthropic Mission. Gone Reading has also been featured in the Huffington Post, and you can see the article here!